Under Armour Bag Just $29.17! Down From $70! FREE Shipping! You are here: Home / Great Deals / Amazon Deals / Under Armour Bag Just $29.17! Down From $70! FREE Shipping! 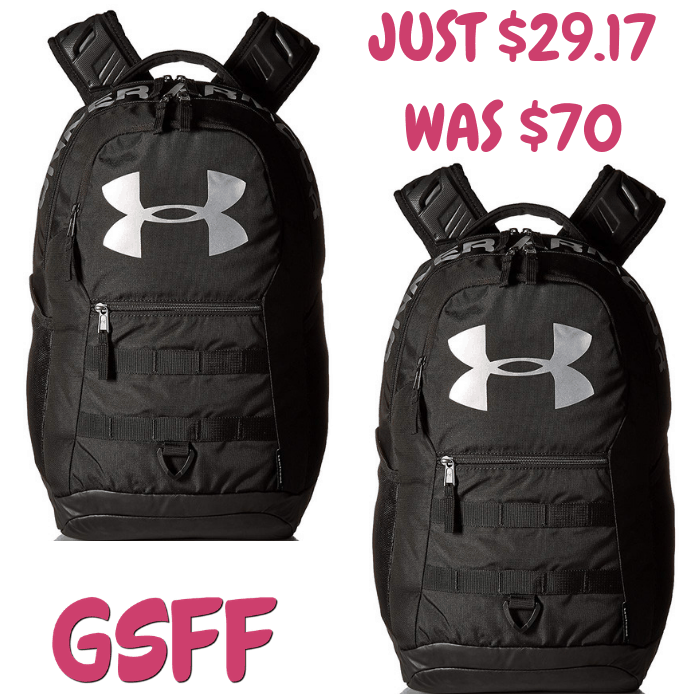 Right now at Amazon, you can score this Under Armour Unisex Bag for only $29.17 down from $69.99 PLUS FREE shipping! UA Storm technology delivers an element-battling, highly water-resistant finish. Tough, abrasion-resistant bottom panel. Extra-soft, tricot lined laptop sleeve—holds up to 15” laptop. Water-repellent front valuables pockets lined with tricot to keep your valuables safe. Adjustable, padded, HeatGearshoulder straps for total comfort. Ergonomic, padded back panel for optimal comfort. Two side water bottle pockets. Webbing loops & D-ring on front panel for added attachment points. Front easy access zippered pocket.